Do you have a home maintenance job in your home that you’ve been putting off? Although there are some of us that find DIY (Do-it-Yourself) tasks around the house easy and stress free, most of would not agree! Not only are DIY tasks time consuming and intricate, they can also cost a lot of money! However difficult and painstaking the task may be, once we have completed the work, houses can be transformed into homes. In 2016 we are a society that is obsessed with technology. Our smartphones, too many, are our lifelines for many different elements of our lives, be it for work or for leisure. It should therefore come as no surprise that the demand for apps that are specifically tailored to your DIY needs has increased drastically over the years. From paint matching apps to mood board apps, there are tons of unique and helpful apps dedicated solely to making our DIY jobs easier! With so many options, it can be difficult to choose the right app for our home maintenance job which is why Noel Dempsey analysed the app stores and have sourced the best and most useful home maintenance apps available to download. They designed the infographic below that outlines these apps key features, price and compatibility. Whether you are moving into a new abode or updating your current home, there are a plethora of apps that have been carefully crafted to make your life easier. 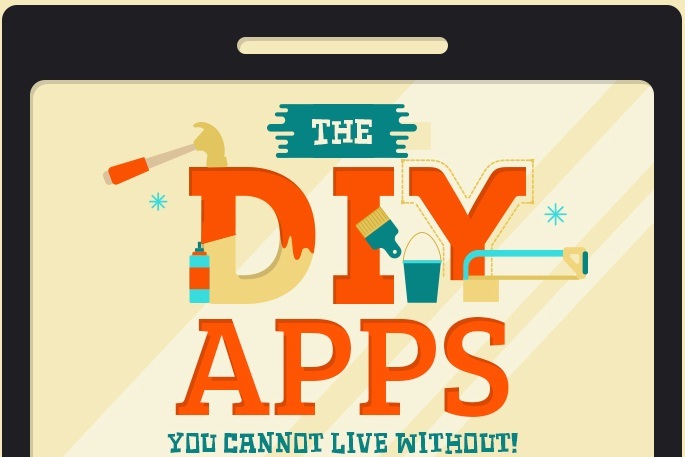 The infographic features iFixIt, app that helps you with DIY repairs. It includes teardown and repair guides for various categories of devices – whether it’s trucks, cars, smartphones, tablets or popular household furniture & appliances. It also features BrightNest, an app that gives you thousands of articles with tips, lifehacks, DIY tasks, tricks and much more. The app also allows you to set up to-do lists with various scheduled tasks for home maintenance. A very interesting app that is featured on the infographic is Handy. Handy allows you to book reliable handymen and home cleaners no matter where you live – it covers over 20 cities in the UK, North America and Canada. With these apps, you will no longer need tons of DIY books and a giant box of tools, all you need is your smartphone! Regardless of your DIY (Do-it-Yourself) job, it’s worth checking out the list below prior to commencing! Which of these apps would you download? Please let us know in the comment section!